The Macadamia is often called the most delicious nut on earth, because it is crisp to the bite, has a light buttery taste and melts on the tongue. Compared to other nuts, Macadamia have an exceptionally high fat content, mainly unsaturated fatty acids, and contain much vitamin B, calcium, iron, and phosphorus. The five to six metres macadamia trees are part of the Proteaceae family and are native to the rain forests in eastern Australia. They were and are an important food source of the Aborigines, but today macadamia are also grown on Hawaii, in New Zealand, South Africa and California. 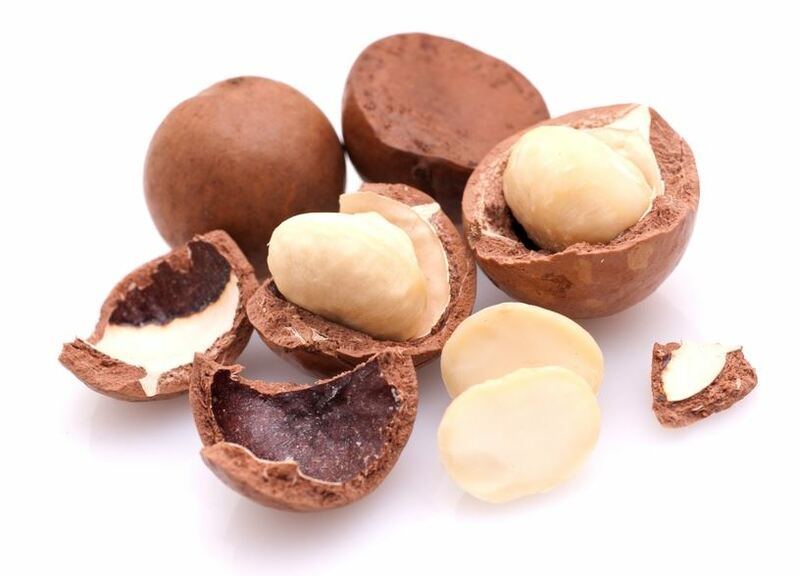 The macadamia is called “Queen of the Nuts”, mainly due to the fact that cultivation is difficult, with no machine aid possible, processing is complicated and then of course the noble taste. Macadamia nuts have a very hard and thick shell so that cracking them to get to the delicious nut inside is a challenge indeed. Best way to crack a macadamia is with a special spindle nutcracker. Then, macadamia nuts can be enjoyed raw, cooked or roasted and refined.